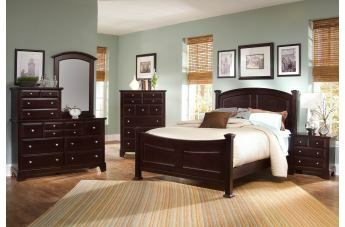 Make your bedroom shine with the Hamilton/Franklin Collection. 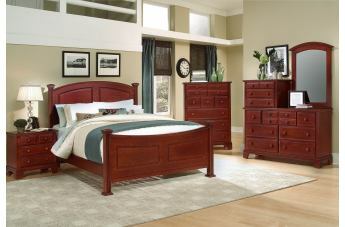 Choose between the rich Merlot color, Cognac Cherry finish, or the Snow White finish. 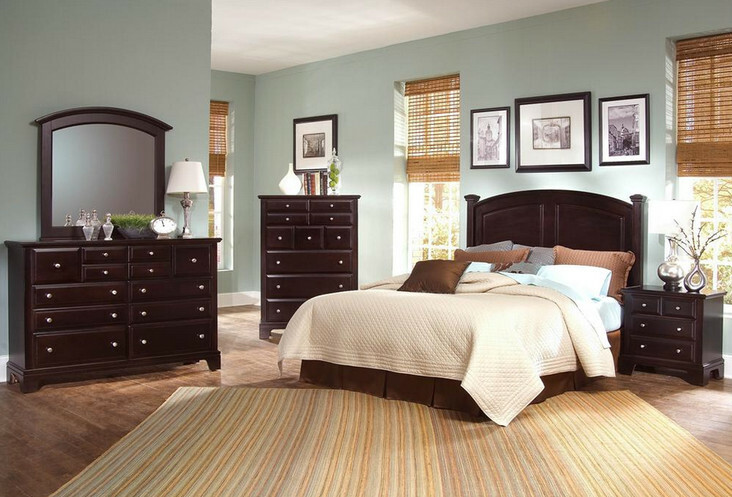 With each finish, the wood expresses a rustic feel that is warm and welcoming. 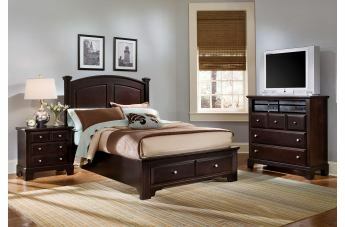 Appreciate the fine craftsmanship on this furniture that is made in America (bunk beds are imported). Angular construction gives the furniture clean crisp edges that reveals an organized look. Sloping and round edges complement those straight lines and make the furniture pieces flow together. 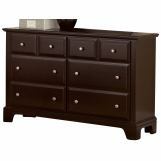 Each door and drawer is embellished with a bright silver knob that expresses an elegant style. 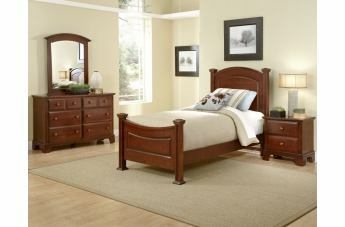 The bed posts are heavy in weight and make the furniture more stable and durable, lasting you years to come. The Mortise and Tenon joining gives additional support and stability. Drawers are suspended on a Kenlin Rite-trak guide system (metal on metal) which allows for an easy opening mechanism. 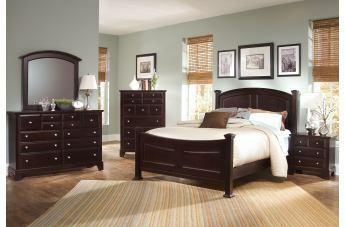 For an extra durable touch the furniture tops and ends are finished with a veneer. Delicate wood craves give the wood a bit of texture and unique style. 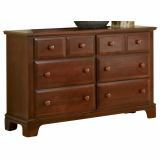 This Hamilton/Franklin furniture collection has a variety of pieces that will bring character to your bedroom or guestroom.